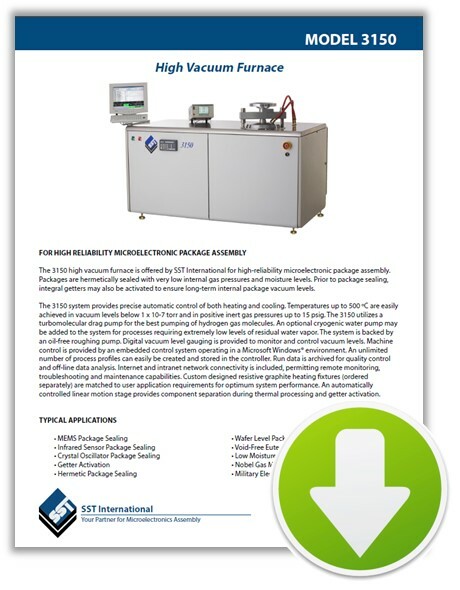 The SST 3150 is a high vacuum furnace that provides advanced packaging capabilities in vacuum levels as low as 10-7 Torr, and temperatures up to 500°C (1000°C optional). The clean-room compatible system may also be configured to allow for in situ separation of lid and package, getter firing and sealing of MEMS packages. The 3150 utilizes a turbo-molecular drag pump for effective pumping of hydrogen gas molecules. An optional cryogenic water pump may be added to the system for processes requiring extremely low levels of residual water vapor. 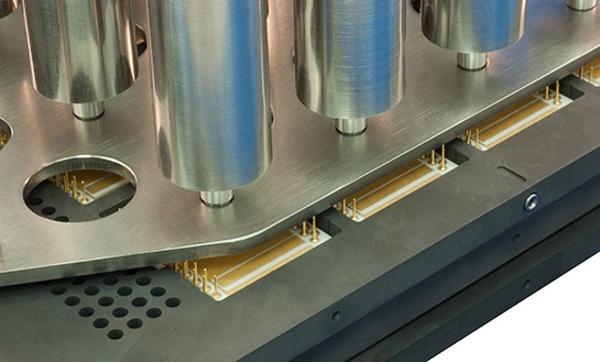 High vacuum capability for low residual vacuum MEMS packages. Turbomolecular pump enables vacuum to 10-7 Torr or lower. The in situ Getter Activation maintains long-term low vacuum within package. The precise heat and cool controls allow for accurate control of thermal cycles. It automated linear motion stage provides component separation and getter activation. 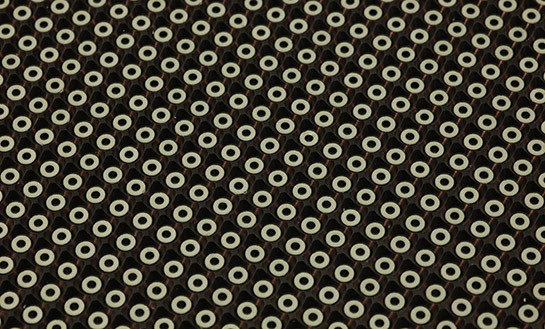 Multiple thermal zones are ideal for complex MEMS package assembly. Resistive graphite heat system results in precise control of components.The 8000i Wire Bonder also features Continuous Bonding Technology, which can load parts onto the wire bonder while it is bonding.